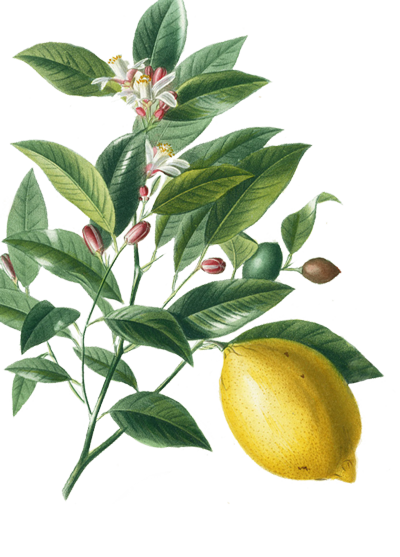 We’ve been hinting about it here and there, but the secret is finally out! 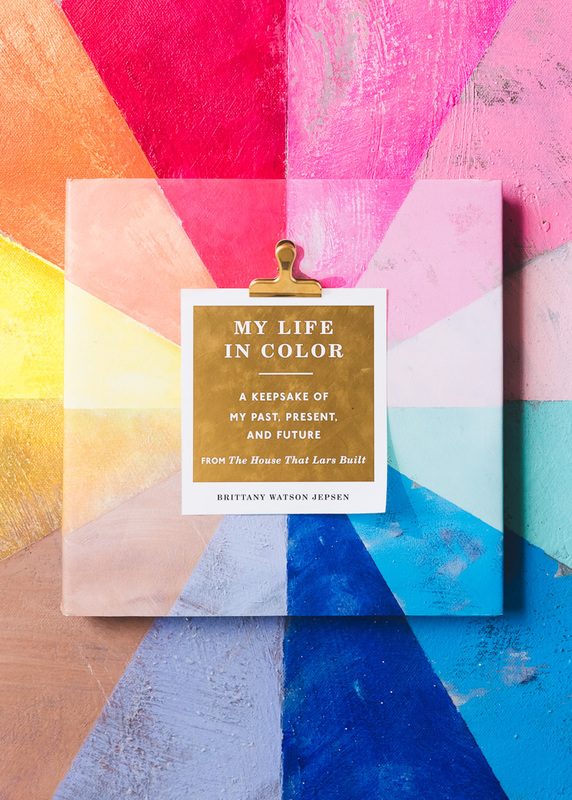 Like Craft the Rainbow, My Life In Color features 9 chapters divided by color and asks a series of questions based on color, your experiences with color, and associations with color. 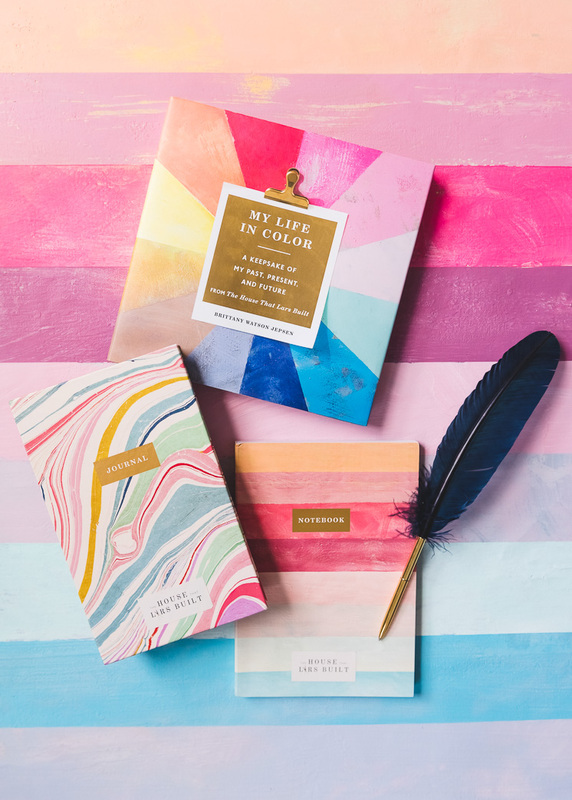 It’s hardcover and once you take off the dust jacket you’re in for a real treat, because it features an exposed binding showing off the gorgeous colors of the rainbow. I remember a burgundy sweatshirt that I wanted to badly when I was young. It was the 90s so it was very much a color of the moment. That, combined with a navy blue and a forest green, and you were SET! I added some classic 90s leggings and an oversized t-shirt and wore that thing out. I also remember my bicycle that I got for Christmas when I was 10. It wasn’t sitting under the Christmas tree and I was so sad. My dad asked me to go get him a fork from the kitchen and there it was in all her glory. My Huffy White Heat bicycle. She was white with grey speckles on her and she was beautiful. I broke her after only 2 days and we went back to the store to get another and a replacement was nowhere to be found. We called every location in Southern California and no dice. My replacement was a blue and pink combo and I couldn’t STAND the color of the blue or the pink. To this day, those shades give me the icks. 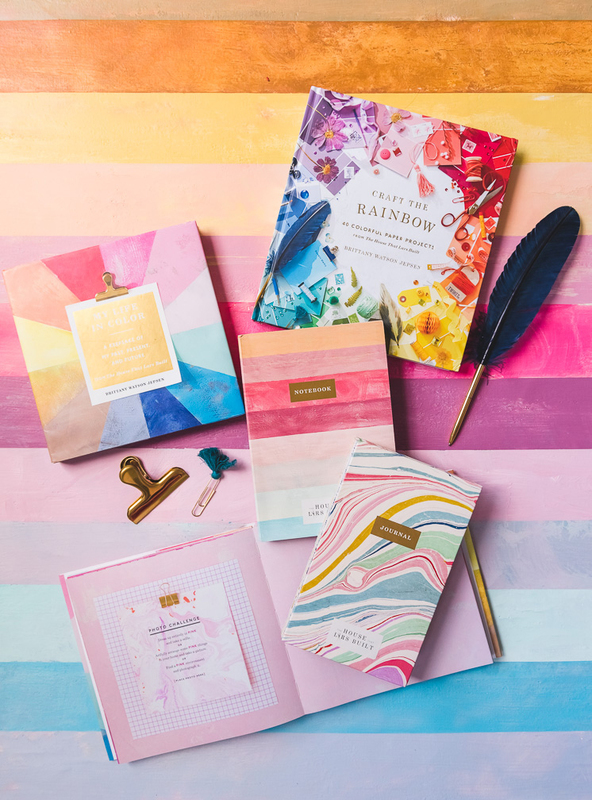 I created this journal because one of the best parts in creating the Craft the Rainbow were the personal anecdotes of each craft and color, but I’m aware–not everyone loves to craft. I GET IT! But! EVERYONE has memories of color and this is a great way to capture those memories and impressions. I know, guys! We all like color in some way! BUT, what do we all need even more? Just a plain ‘ole notebook, and we’ve got two of them! One is a plain notebook. And the other is blank journal. 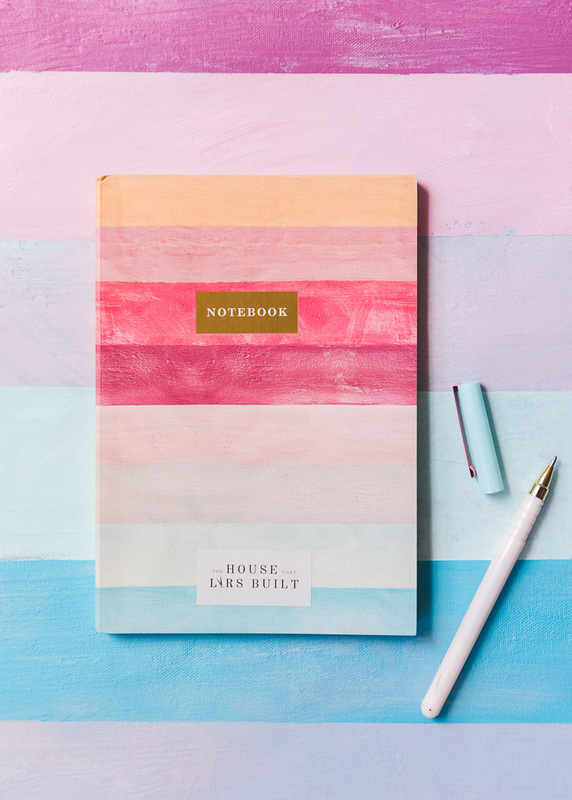 The blank notebook is softcover in lovely texture. 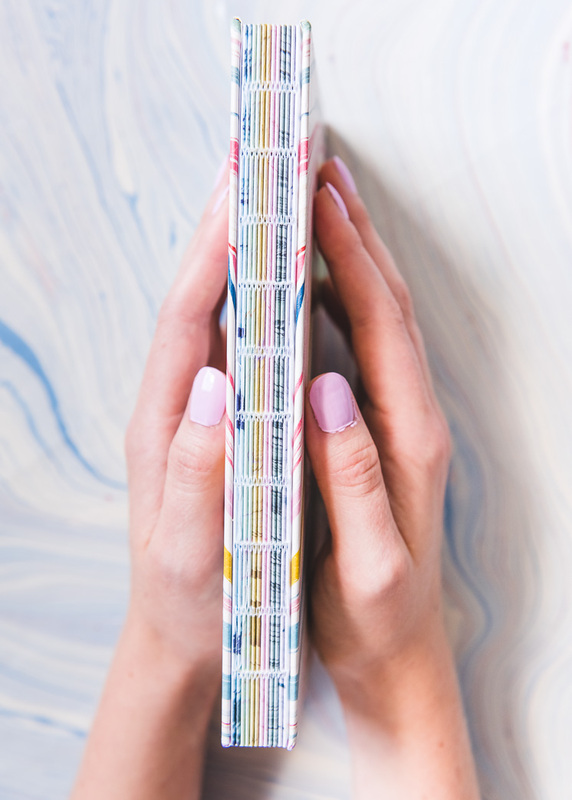 The journal is hardcover and has a gorgeously exposed binding, Isn’t it beautiful?! I love seeing the complete collection of books. 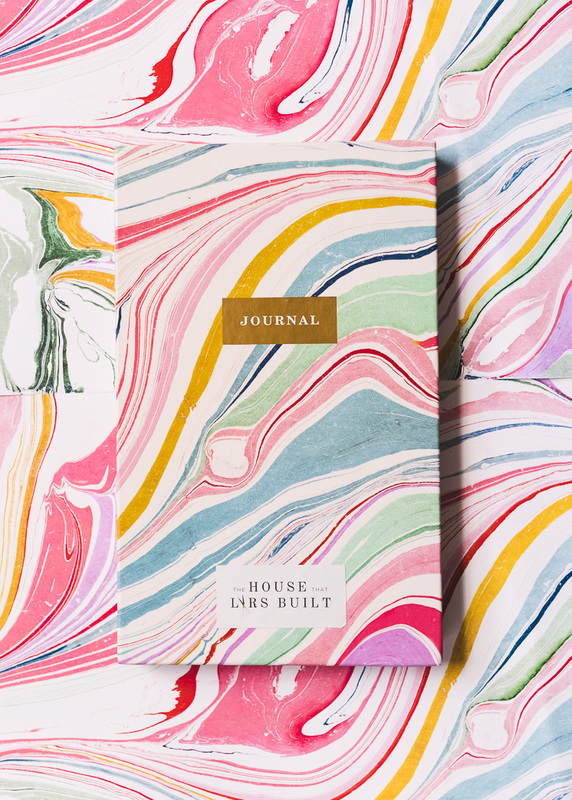 From those who love to craft, those who love to journal, and those who love to keep notes and doodle. We can now offer something for everyone! You can shop the collection in various combinations from our Shop here. Some of our favorite bloggers and Instagrammers are sharing their favorite colors. We’ll be sharing about them over the next couple of weeks. And stay tuned for a month of color-themed projects and posts, a color combination for each week! May the hue be with you! Sign Up for the Lars Newsletter! Mother’s Day Advent card and Cricut giveaway!